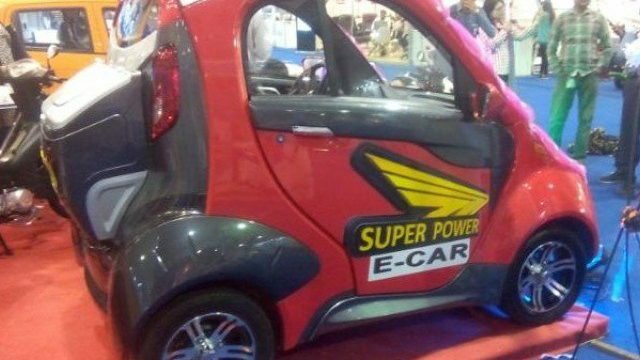 In a three-day exhibition held at Karachi Expo Centre, SuperPower unveiled their electric car that may be launched in the coming months. 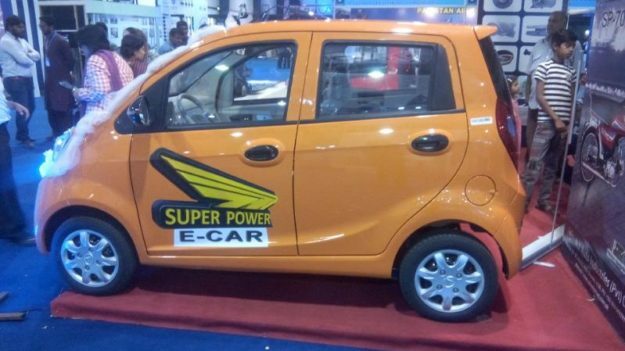 According to the manufacturers, these newly designed E-Cars can go up to a maximum speed of 50km/h and would require an electric recharge for seven hours in order to travel a distance of 120 km. 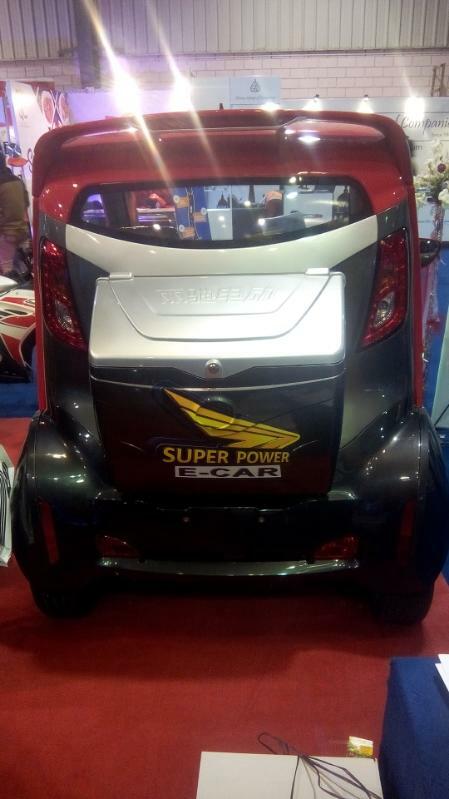 This New SuperPower E-car was displayed in two variants i.e. two-door variant and four-door variant. The company has claimed to introduce the price for two-door variant around Rs.600,000, whereas the four-door variant is will (reportedly) be priced around Rs. 650,000. While speaking to the media personals, the Marketing Executive of N.J Auto Industries remarked that the market for E-cars will grow by leaps and bounds in the upcoming years so seeking this opportunity, we have decided to enter in this market. 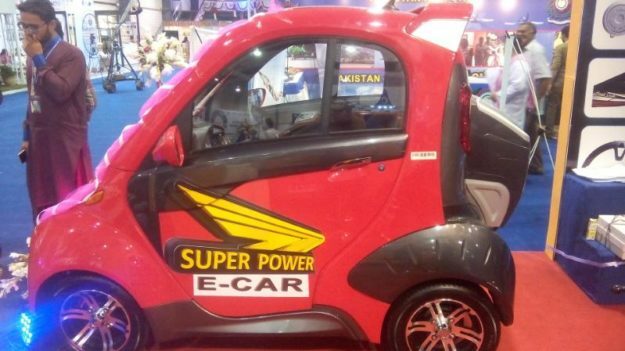 He remarked that these E-Cars will have an economical mileage of Rs.1 per kilometer, giving relief to Pakistani consumers. It is being reported that this car will be equipped with a 12 volts battery and can be domestically recharged like an inverter or UPS. 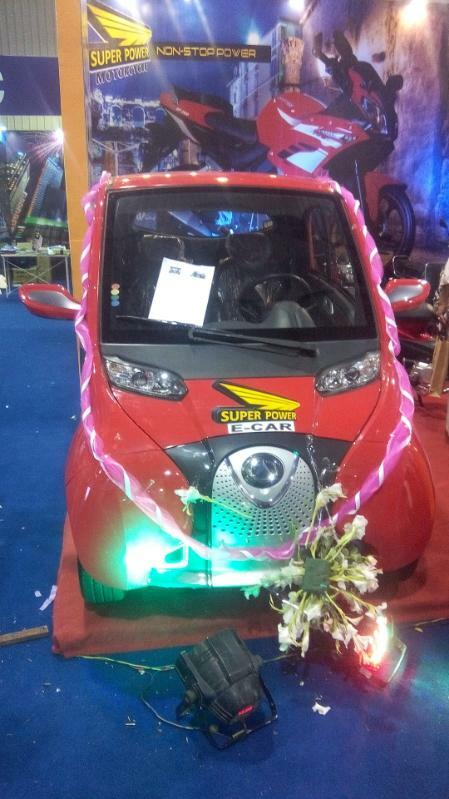 This electric car is being imported from China and is expected to make a great impact on the Auto industry of Pakistan. Paid Article is acceptable, but this has indeed BROKEN THE INTERNET. Just injected my internet with Glucose Drip and Double dose of Broad spectrum Antibiotics. Internet is in ICU. 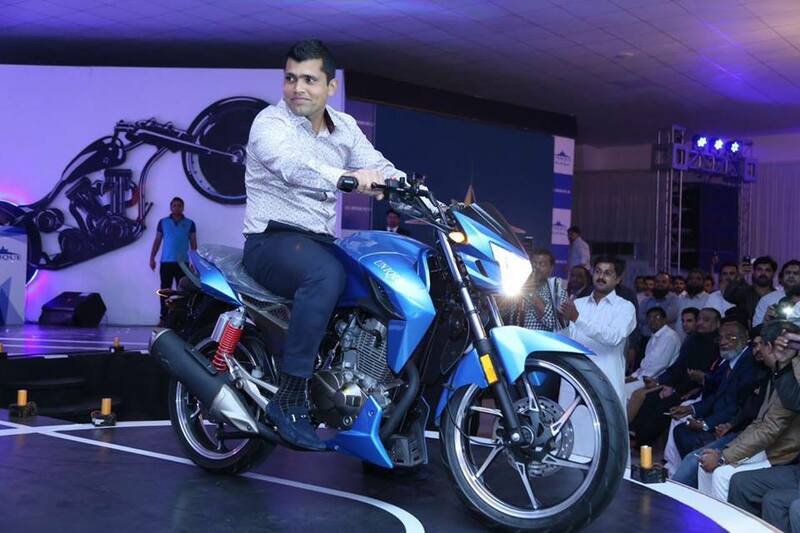 Low top speed, zero safety, hideous design, high cost (6 lacs! ), too much charging time, low range. The only positive I could come up with is that it's good that someone has taken initiative of introducing new things in automobile industry for the betterment of the country. PS: The alloys look nice. Can't call it a car it should be called an over priced rikshaw. But once again I must say price is too high and government is giving tax immunity to hybrid cars so it will also enjoy the same and any thing over 300k is unjustified. What the heck is breaking the internet suppose to mean?!? Are we making up new idioms now?